This bioregional assessment helps us understand how coal seam gas and coal mining development could affect water resources and water-dependent assets in the Maranoa-Balonne-Condamine subregion, which is part of the Northern Inland Catchments bioregion. It identifies where potential impacts could occur, as well as the areas that are unlikely to be affected. The bioregional assessment for the Maranoa-Balonne-Condamine subregion found that impacts of two proposed coal mines on water resources in the Maranoa-Balonne-Condamine subregion will be limited to small areas near the mines. Most water-dependent assets in the region will be unaffected. Possible impacts on 15 percent of the Barakula State Forest, a small number of bores, and some areas of groundwater-dependent ecosystems and threatened species habitat may require more detailed local investigation, for example, as part of an environmental impact assessment. 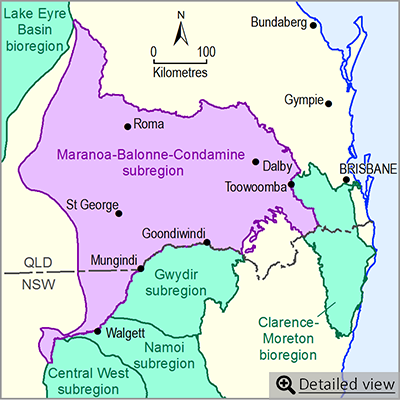 The Maranoa-Balonne-Condamine subregion is mainly within the Queensland part of the Murray–Darling Basin, with a small area in New South Wales. 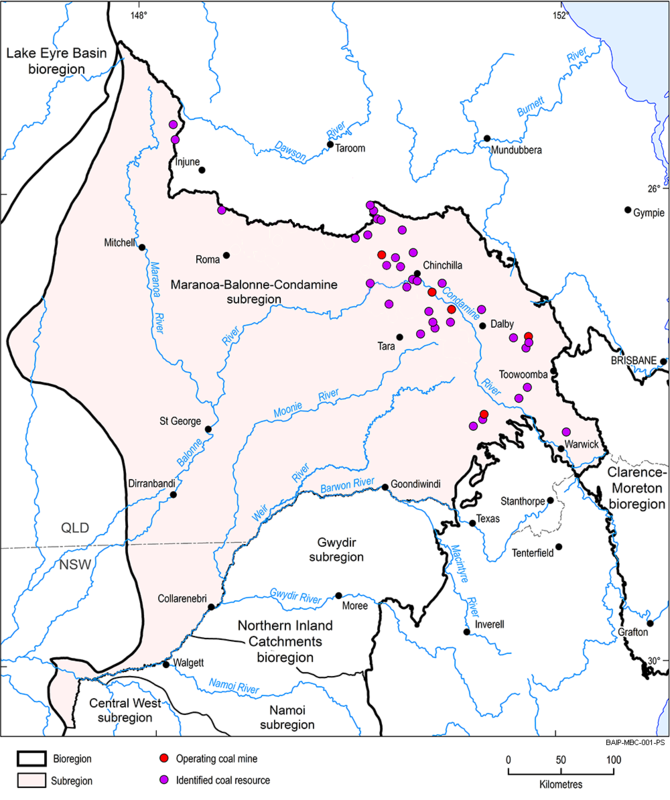 It includes the headwaters of the Condamine River and the Maranoa River as well as the floodplains of the Upper Darling Plains. The main cities and towns are Toowoomba, Warwick, Dalby, Chinchilla, Roma, St George and Goondiwindi.